T&V has designed a series of new Gateau shops in Stockholm, Malmö/Lund and in Helsinki, Finland. The interior is completely built of carrara marble and features the T&V Top lamp manufactured by Zero. Gateau was founded by people who are real bakers, families that have worked with bread and pastry since the 1940s. 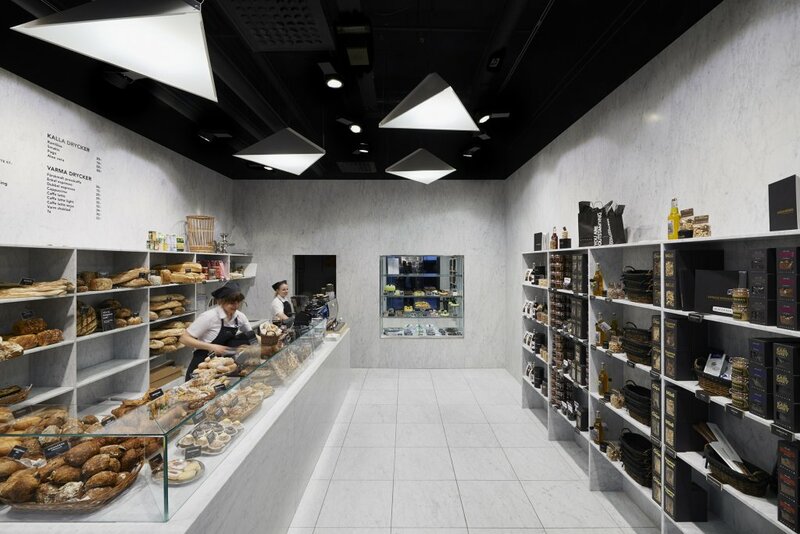 The use of carrara marble, a recognizable material used in bakeries, cafés and restaurant environments throughout history, communicates this origin and has been transformed for its contemporary spatial context to create an almost monochrome environment. It provides a coherent backdrop for the products to stand out with their own forms and colours. 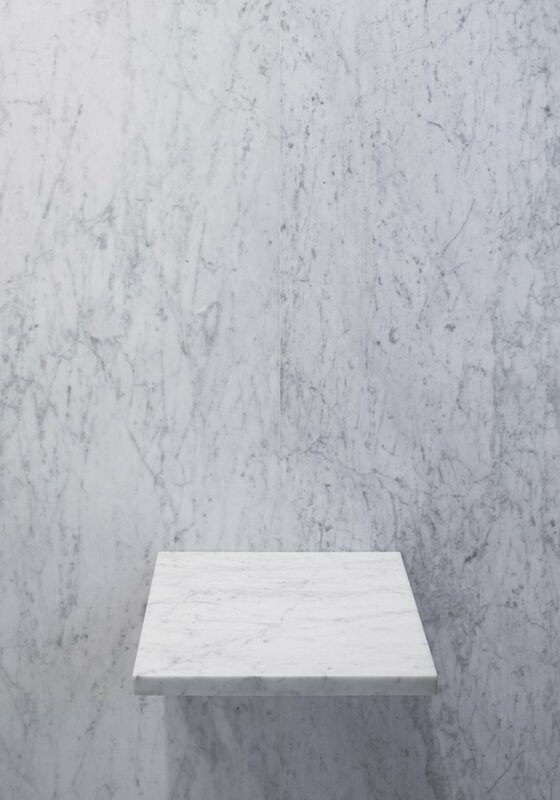 Each shop also features the Tham & Videgård hexagon carrara tables that come in different heights and sizes.